What are the duties & responsibilities of a Field Operator? A Field operator ensures that oil or natural gas production moves continuously from the wellhead "downstream", i.e., to the oil battery, gas plant or processing facility. 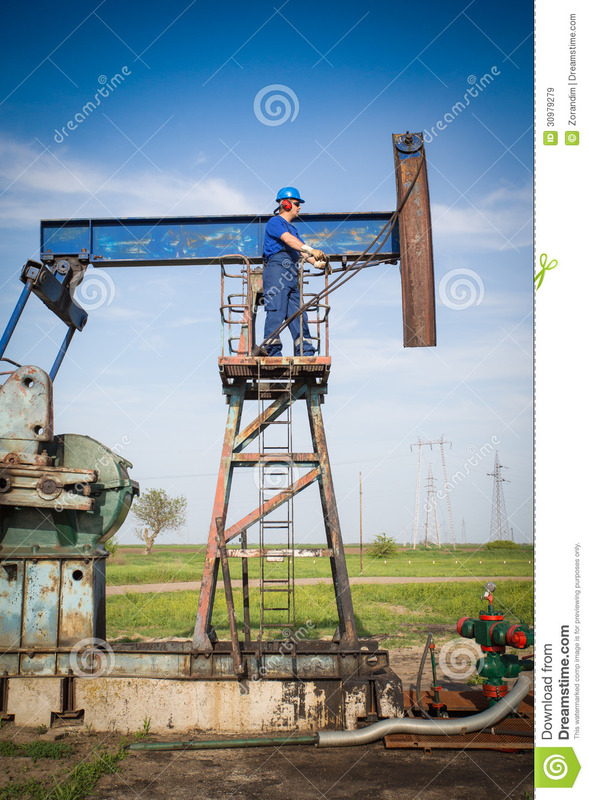 Field operators typically move from well to well and are responsible for optimizing production of the gas or oil wells that are on their "field run". Duties will vary based on the size of the field, whether it produces oil or gas (as well as natural gas liquids, or a mix), and the types of equipment required. 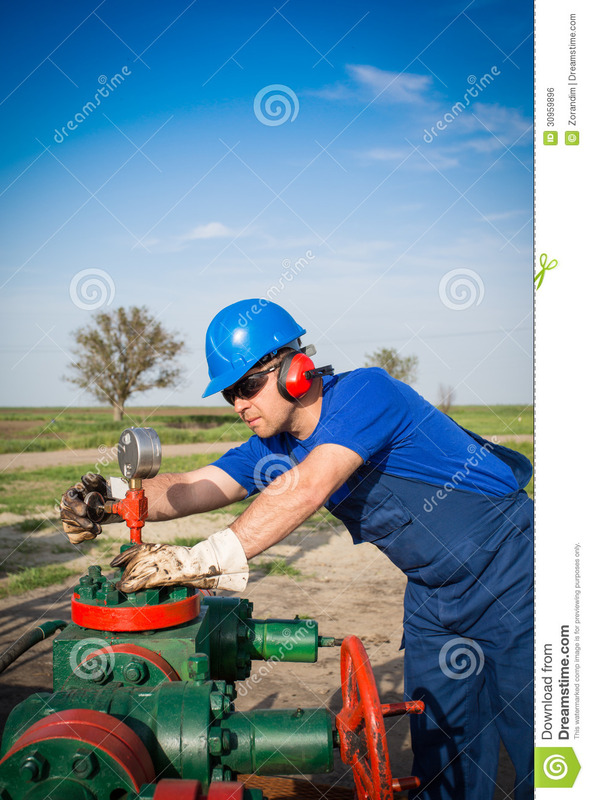 Field operators generally start up and stop equipment, take pressure and flow readings, compute and record data, adjust valves/pressures, and examine and repair equipment. What experience do you have in Field Operator position? Speak about specifics that relate to the position you are applying for. If you do not have specific experience, get as close as you can. If you are being asked this question from your employer then you can explain your experience. Tell the employer what responsibilities you were performing during your job. You can tell what programs you developed and what modules you worked on. What were your achievements regarding different programs. What have you done to improve your knowledge for Field Operator Position in the Last Year? Try to include improvement activities that relate to the job. A wide variety of activities can be mentioned as positive self-improvement. Have some good ones handy to mention Employers look for applicants who are goal-oriented. Show a desire for continuous learning by listing hobbies non-work related. Regardless of what hobbies you choose to showcase, remember that the goal is to prove self-sufficiency, time management, and motivation. Have you ever been involved in a project that required working with people from different educational or career backgrounds? Describe the experience. Since most roles in the Oil & Gas industry involve working on teams to complete tasks and achieve goals, questions like this are commonly included as a way of evaluating your collaboration and communication skills. When preparing an answer to this question, make sure to review the job description carefully to understand what “teamwork” means in the context of the role. For example, if they are looking for someone who can pitch in and play many roles when needed, be sure to highlight this in your response. Describe a time where a group project didn’t go as planned. How did you adapt? This can be a tricky question to answer. You don’t want to bring up any colossal failures, but you don’t want to sugarcoat your response either. And definitely don’t try to cast a negative light on your team members in order to make yourself look like the hero – interviewers can see right through that approach. Your best bet? Pick an example where something fairly important didn’t go right as a result of your actions. Describe the situation, but don’t dwell on it – make the main focus the problem-solving steps you took to rectify it and what you learned in the end. This will show a potential employer that you can take responsibility for your actions and learn from your mistakes. How do you test a subsea cable system? Entry-level roles in Oil and Gas are often very technical, requiring extensive knowledge of complicated equipment like pipeline systems and oil well machinery. Therefore, don’t be surprised if a technical question like this pops up in your interview. Before you respond, make sure you fully understand what the interviewer wants but don’t take too long to come up with an answer. You need to assure a potential employer that you know your stuff inside and out! Just like any industry, Oil and Gas employers want workers that are not only passionate about their field of work, but also align with their company culture. To really produce a stand-out answer, make sure to review the company’s values and tailor your answer to emphasize those points. Do your homework to show that you have specific reasons why you want to work for their firm. For example, if innovation is important to you, you could bring up how you admire their use of a certain kind of new technology. Why should we hire you as Field operator position? This is a very common question that is asked in almost every interview. I love this question because it gives you the opportunity to sell yourself. Discuss what makes you stand out from the crowd and show them how you can help advance their company. Remember to be specific. This is where all the company research you have done comes into play. You should have an idea as to why the company is hiring or looking to hire someone for that position. What problem do they have that they are looking for people to help them solve? And once you can establish this, you are to show them how you can solve this problem for them. Let them know that you already know certain things about the company and their general practice because you have researched the firm and are prepared. Tell a success story that emphasizes your qualities and how they helped solve a problem similar to theirs. Your response should be geared towards why you are the perfect fit for the job and not why you want the job. As Field operator position, what is the most difficult situation you have had to face and how did you tackle it? What is your greatest strength as Field operator position? This could be a very simple question if you are prepared for it. You just have to talk about the strengths that you know would be of value to the company. Make the most of this question. This question gives you the control to guide the interview to where you want it so take advantage. Find out from the job description and from company research, the kind of strengths the company invests in. As Field operator position, what are your weaknesses? Turn this question into a strength question in disguise. For instance, say something like “I do not like not being challenged at work” or you could mention a weakness that has nothing to do with the job and that you can overcome with training. This way, you end up turning this potentially tricky question into a positive. Sometimes, you may be asked about certain challenges you faced in your previous position. If you are asked this question, lean towards the problem that happened early in your carrier and that you were able to solve. Do not try to blame others; just identify the problem and the role you played in solving it. As Field operator position, how would your co-workers describe you? “Well, my colleagues will tell you they can count on me. They will tell you that I am a team player and someone they enjoy working with.”Think of a good decision you made and a recent decision that wasn't good. When delegating a recent duty, plz describe how you showed your confidence in the person's ability to do the job? Why do you want to work for us as Field operator position? Here, they just want to know how motivated you are about the position or if you are just there for the pay. They want to ascertain that you would form an important part of the company. You have to show them that you are willing to be part of the company and would do all you can to ensure you and the company grows together. As Field operator position, would you describe a typical day in your current job? As much as you want to sell yourself in a good light, do not make the mistake of exaggerating your current position. Add some of your routine tasks to make it realistic and don’t neglect things like paperwork. Try to be in the interviewer’s shoes as you answer this question. A job you have been doing for years should be part of you already and as such; you must know all the tasks you undertake. Try to show them that you plan well before you begin work and after you attain your goals, you review the process to see how you could be more efficient. As Field operator position, what is your greatest accomplishment? Do not ever think your accomplishments are too small. Remember that an accomplishment, no matter how little can be more relevant if it is line with the position than a massive breakthrough that isn’t related. The essence of this question is to test your composure, ability to solve problems and staying true to the task, even in unfavorable conditions. Give an example of a time where you were faced with a challenge and what you did to remedy the situation. In the process, highlight how you were calm and in control till everything was okay. No matter what you say, do not mention negative things about your employer, neither should you mention anything about more money being the reason. The reason is simple; if you are leaving a company because of money to come to theirs, you will definitely leave them to move on to another if it promises a better paycheck. Your best bet is to ay it on responsibility and challenge and how your previous positions want challenging you enough. Indicate that you yearn for more responsibility and how what you have to offer outweighs the responsibility and challenge posed by your former position. Note that whenever you are going for an interview, this question may be asked. Before going, try to find out what the average salary for someone holding that position in that industry is paid. This would help prepare you for what is in front of you. Do not forget that this is only an interview and you haven’t been offered the job, so do not go on negotiating. Just state something within the range you have researched and move on. Whatever you do, do not sell yourself short. At the end of the interview, you will likely be asked this question so make sure you don’t come up short. Prepare a list of questions to ask the interviewer and make sure they are focused on how you will fit into the position and address aspects of the role itself. Just be sure to stay away from questions about your pay rate or vacation days – save those for the offer stage!